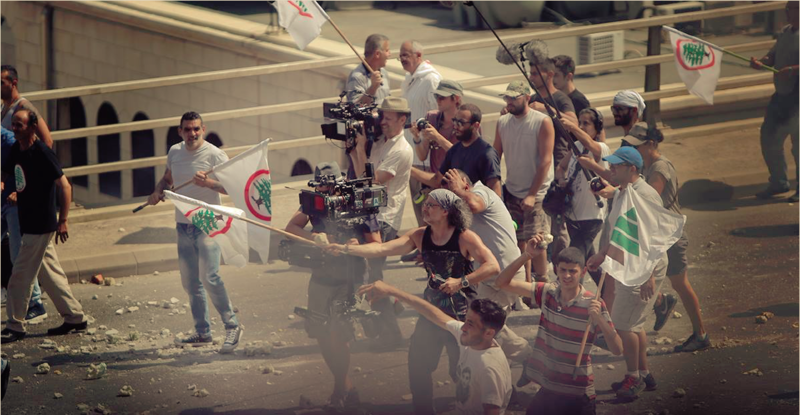 The Insult by Ziad Doueiri was selected as the Lebanese entry for Best Foreign Language Film and is nominated for the Oscar at this year’s Academy Awards. It has also won the Bridging the Borders Award at the 2018 Palm Springs International Film Festival, along with the Best Actor Volpi Cup for Kamel El Basha at the 2017 Venice Film Festival and Audience Award at the 2017 AFI Fest. 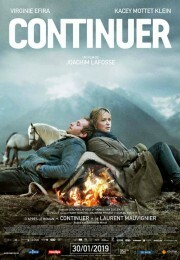 The film is currently on general release in Belgian theaters. We took the opportunity to talk to director of photography, Tommaso Fiorilli, SBC, about his work on the film. Synopsis : One afternoon in the dog days of a Beirut summer, Tony gets into an altercation with Yasser over a broken drainpipe. Tony is a mechanic and a Christian. Yasser is a construction foreman and a Palestinian. When Tony, hard-nosed and hot-headed, refuses to accept Yasser’s half-hearted apology, two bruised male egos begin to swell. Tony utters an unforgiveable insult to Yasser. With a speed neither man could foresee, their personal argument escalates through the neighborhood and the city to the national stage. The dispute comes to encapsulate the lasting legacy of the Lebanese Civil War — and becomes a lightning rod for people with more power than either man to pursue their own agendas. 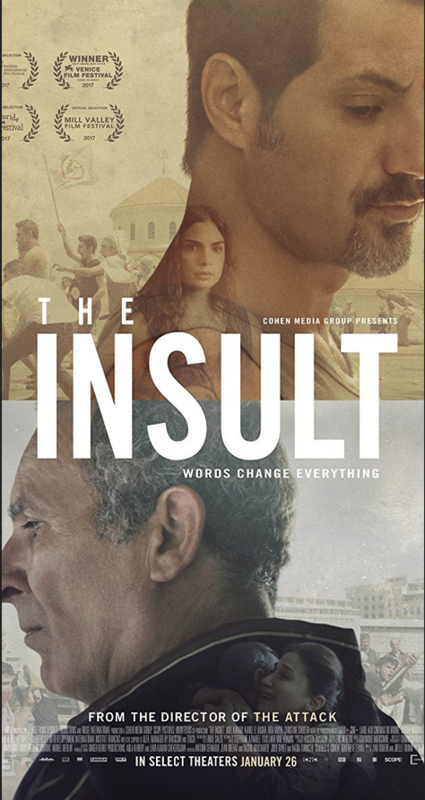 Co-written with Joelle Touma, The Insult is an impeccably made political drama, layered with clever observations on the complex history of the region. Could you present yourself and your work in a few words? TF: I’m half-Italian and half-French. I started my career in Italy where I worked in fashion photography. In ’92, I moved to Belgium to study at the IAD. After getting my diploma in ’96, I worked as a clapper loader and focus puller while shooting a lot of shorts on the side as a cinematographer. In 2006, I lit my first feature for Olivier Masset-Depasse, Cages. 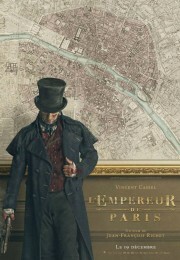 I’ve also worked on several TV series, mostly for Canal Plus. I shot Spiral (Engrenages) in 2008, and most recently both seasons of Baron Noir in 2016 and 2017. I think you already knew Ziad Doueiri? TF : Yes. Our first project together was The Attack in 2011 and since then I’ve lit all his projects. Can you tell me about your technical and artistic approach for The Insult? TF : Like me, Ziad started out as a focus puller. He worked on every one of Quentin Tarantino’s movies up until Jackie Brown. That experience really informs his approach as a director, especially when it comes to lighting and lenses. He really likes working with steadicam and sees it as a real storytelling tool, not just as a dolly without tracks. In most cases, he controls the zoom remotely while it’s on the steadicam to adjust framing during the course of a shot. This can be a bit tricky for the steadicam operator as he might zoom from 15 to 40 mm in a single take. We’ve done a few projects this way and we now have a system that really works well for him. 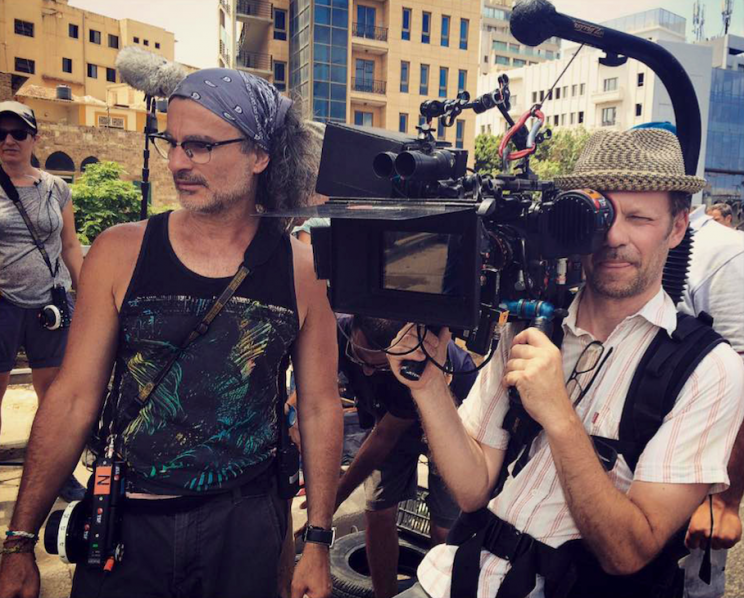 On The Insult, we used a lot of very short lenses, especially the 15mm or 17mm. We did a lot of tests with each actor to see how they reacted to short lenses in close-up. Then we would adapt the focal length depending on which actor we were filming. Ziad wanted me to create contrasted, punchy and golden images,while maintaining the freedom to move around a 360° set. He needed to be able to change his mind or improvise new blocking if what he planned for the scene didn’t feel right. The challenge was that we still wanted the film to be lit with natural light directions, strong backlight and contrast. Since most of the movie takes place in interiors, we decided to keep the view from the windows unobstructed most of the time to still feel the city. How did the prep go? TF : Leading up to the shoot, Ziad and I met constantly while still in Paris. 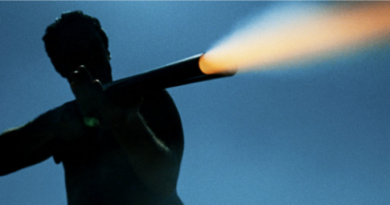 We watched The Insider by Michael Mann (1999) together several times. He was mostly interested in the way the story was told using these over-the-shoulder shots with the character very centered in the middle of the cinemascope frame, the odd framing. He also liked the bright backlights and the overall ‘contrasty’ image. We also got inspired by the work of Jammel Shabbaz in New York and Stephen Shore’s approach to color in his photographs. I first travelled to Beirut about six weeks before the shoot. After visiting all the locations, we discussed them with the art director Hussein Baydoun to make sure we were on the same page. I must say, he really did a great job, given the time and budget he had to work with. He always gave 150% and his work was amazing. It was the first time a film was shot in the real courthouse in Beirut and we had three weeks of filming there. Production really had to pull strings to get authorization for repainting the walls and the rest of the production design work. We wanted different looks for each of the two courtrooms. The lower court was painted in a beige color and so he proposed a dark wood panelling for the second higher court. They ended up liking the wood so much, the courthouse actually asked if they could keep it! Considering how we work, I really relied on the art department to help with the color of the walls, the curtains and, of course, the carpets! At night, I use mostly practicals and would always check with Baydoun to know which types of light I had in the scene. After doing this initial first week, I returned again three weeks before the shoot to plan all the details from where to put the lights to where we would need a cherry-picker or a crane and so on. 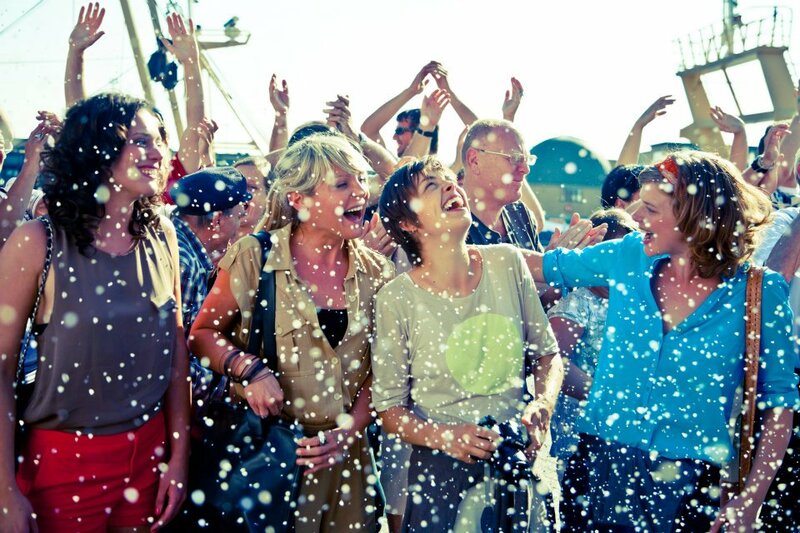 TF : We shot for forty-five days in the hot Beirut summer. In some ways it’s more difficult to shoot in Lebanon. You might not always get what was planned, but at the same time it’s much easier to ask for something new when you have to improvise. We managed to block a motorway that cuts the city in half to shoot the riot scenes for a whole day, and we were able to shoot with a drone for a whole day and night above the city very easily. Both those things would be much harder in Europe. TF : We shot with two Arri Alexa XTs. We had considered the Alexa Mini, but the RAW update had just been released and the rental company had trouble shooting reliably with it, so we decided not to take the risk. Heat was another factor since we were shooting far from the rental company, I didn’t want to take the chance. We missed the Alexa Mini mostly during the car scenes. For some of them, I used a Sony A7s II with an external recorder. There is a scene when they are coming back from the courtroom and we have five people in the car. In that case, I couldn’t use the Alexa XT, but after some testing we felt the A7s II could do the job. While it has some flaws (like the rolling shutter) we were able to get it to match the Alexa pretty well by selecting the right settings. We used mostly lightweight zooms, except for the night scenes, for which we used the Cooke S4. I wanted the Cooke S5, but they were beyond our budget. For the lightweight zooms, I tested the Zeiss and the Optimos. I already knew the Optimos from a previous shoot, but I wanted to be sure it was the right choice. I finally chose the Optimos because I found the flares to be more organic. They are also softer than the Zeiss which I prefered because I didn’t want to use any diffusion in front of the lenses. Our tests showed they match perfectly with the Cooke S4s as well. We had two 15-40 mm, one 28-76 mm and a 45-120 mm. We picked the Fujinon Cabrio 85-300mm for some long lenses shots over the 24-290 Optima zoom. The Optimo had a better range and the Fujinon had more breathing, but we chose the second one because it was lighter, smaller and would work with the same matte box and filters. It also suited our shooting style more: stealing shots, moving fast, handheld etc. 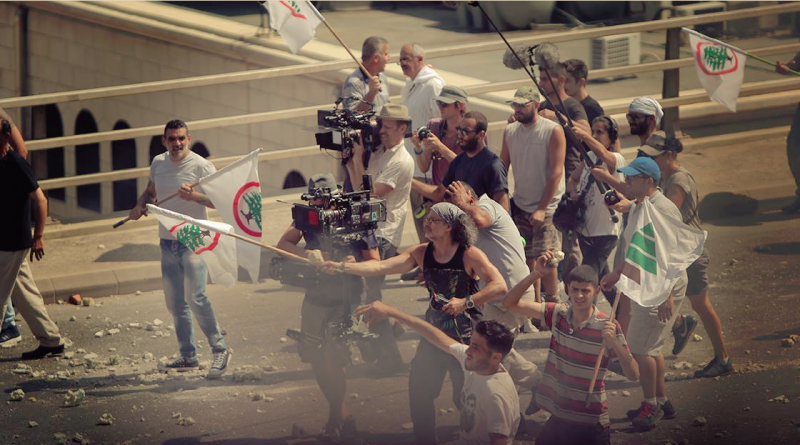 The city of Beirut is very important in the film. How did you film it? TF : We used a DJI Inspire 1 with the X5 shooting with its RAW DNG format. I was really impressed by the quality of the image without having all the hassle of flying an Alexa or a Red. We also sent my focus puller Jimmy Bourcier as a second unit DOP to do some drive by shots with and without the actors and atmosphere shots of the city. TF : For the courthouse, we had an Arrimax 18 Kw on the roof. I could have used a cherry-picker, but it would have just slowed us down having to move it out of the frame. Otherwise, I really like the Arri M9 depending on the location. The rest was mostly LEDs or tungsten. I used a lot of Chinese lanterns, that my gaffer, Nicolas Dixmier, brought with him. They were in a box which enabled us to direct the light more easily opening a side or the other. We also used pancakes. For the night scenes, we use a lot of practicals, since most scenes were 360° shots. That was something we discussed ahead with Hussein during the prep. I also asked him to manage little hiding places for lighting when it was really difficult. For instance, for the garage night scenes, where you used mostly blue fluorescent tubes creating very stylish, contrasted and colored images? TF : For this scene, we used a 5Kw tungsten source with amber gel on it that was set on a neighbor’s balcony on the second floor. That is something we had organized during prep. The rest of it is mostly practicals with a mixture of the original green and blue fluorescent tubes and some daylight balanced tubes. During prep, I also asked for the small fluorescent torch that is in the car’s hood and the fluorescent tube over the tool box. The main discussion between Ziad, Baydoun and myself was how much dirt should we leave on the windows. When we first visited the location, they were completely obstructed by dust and grease. Ziad always likes clean windows so we can see outside and add more depth. In general, I agree with him, but for this particular scene, I asked If we could keep a bit of dust on them. In my opinion, this is what really makes the lighting of the scene. The dust catches the light of the 5Kw and creates a coloured and contrasted image. 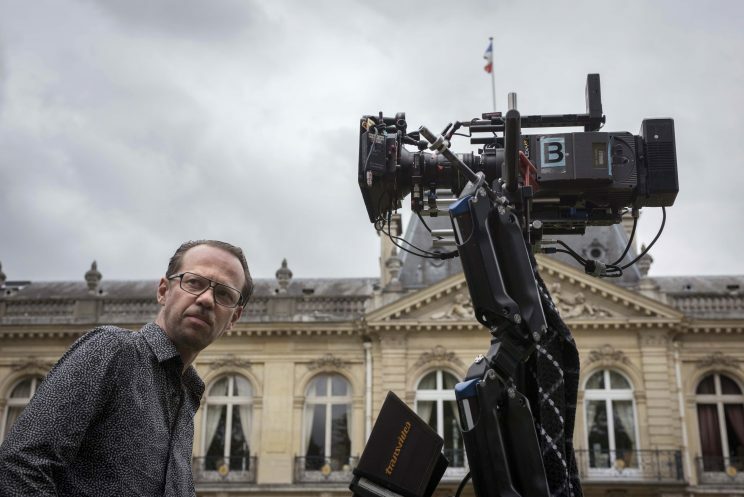 TF : Normally, I operate the A camera myself, but since it was mostly steadicam, I brought Nicolas Cagniard who had worked on Baron Noir with me. All the dolly, crane and handheld shots were framed by me. For the handheld shots, I used small mini tracks allowing me to sit and push myself from one side to the other to adjust the framing. This was very practical for sitting scenes. In my opinion, the film alternates between smooth camera movements and agitated ones. In fact you said you shot most of the film using steadicam shots and short lenses, and yet most of the characters’ emotional reactions (for instance, when Adel Karam is filled with rage after the first trial or when Kamel El Basha’s character is in despair after losing his job) are shot using long lenses, hand-held camera movements, soft focus and flares, aren’t they? TF : Yes, these scenes were shot handheld and we used the handheld style to emphasize the emotionality of the character. Did you bring every head of department from France with you ? TF : We managed to bring my camera crew and my gaffer with us. It was important because Ziad knew and trusted them, so we really insisted on it. However, my key grip was local. Any difficulties that had to be solved during the shoot? TF : There was a crane shot, for which we had to build a bridge in the middle of the street. We couldn’t block the street and needed room for cars to pass under it. For practical reasons, we used a Panther Vario Jib so I was framing the camera directly without a remote head. It was a rain scene, but there were no rain technicians in Beirut. So the art department had to improvise with some garden pipes. The problem was that in Beirut most electric cables aren’t protected, so the water would fall on them, and make huge electric sparks while I was on top of the crane in the air in the middle of the street! I thought I was going to fry… The shot was great, but it ended up on the cutting room floor. How did you shoot the helicopter scene at the end? Did you use green screen or a real helicopter? TF : No, it was a real army helicopter. The producers, Abla Khoury and Lara Shekerdjian at Ginger Production, really had to pull a lot of strings for that. We had the greenlight the very same day of the shoot. It was shot on the same day as the exteriors at the courthouse with a lot of extras. We had two cameras on the ground shooting the main action with the line producer, Jimmy Dib, in the helicopter with a Sony A7s II and an Osmo Raw to shoot the aerial shots. There are a lot of archive photographs and footage in the movie. How did you incorporate them? How did you shoot the childhood memory scenes? Especially the night ones? TF : There are no more railways in Lebanon, they stopped working during the civil war, so these scenes are charged with historical and emotional value for the Lebanese people. We found a small portion of track that still exists near Damour, where Tony visits the now abandoned tracks of his childhood. Of course, in his memories they had to be in working condition. We shot the day scene in the morning, then we shot other scenes, meanwhile the art department cleaned up the tracks and polished them to look brand new for the night scenes. The first of the night-time flashbacks came from Ziad’s Samsung phone. It was actually a test during the rehearsals, but he really liked the shutter effect on them. They were a bit difficult to grade, but since it was a non-realistic look we were after, it worked fine. The following ones, I shot handheld with the Sony A7s II. TF : The actors were all Lebanese. Ziad is very famous in Lebanon because of his film, West Beirut (1998). 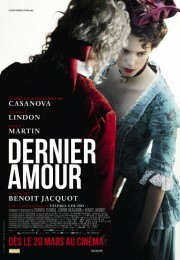 It was the first notable movie after the war . So the actors were very excited to work with him and they worked really hard. It was really impressive because the days were very long and hard. In fact, the shoot was very challenging for us all. We did a lot of overtime. Ziad doesn’t plan the shots ahead, but he has ideas and knows his scenes perfectly. We would meet two hours before the crew-call, and for one hour we would be alone to find how to best tell the story. Then the actors would come to rehearse for an hour with lenses and a viewfinder, then at the time of the crew-call, the steadicam would arrive and the actors would go to makeup while we lit. Sometimes, by the time they come back, Ziad would have changed everything. We would always adapt the camera and the lighting to the actors, never the other way around. You have already talked about your admiration for Hussein Baydoun, the art director. 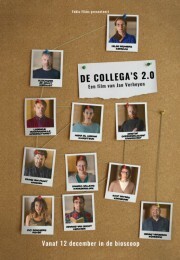 How about your collaboration with the other departments : make-up, costume design etc. ? TF : I have known Stéphanie Aznarez, the makeup artist, since the Attack. We get along really well. She mostly worked on a natural look, slightly shiny, so she had a hard time with the heat. Since the movie already had warm and golden tones, I asked, Lara Mae Khamis, the costume designer, to help me keep some blues (grey blue, dark blue, bluish items) in the shots in order to avoid a sepia effect. TF : It’s kind of a funny story. I had worked with the dailies colorist at Lucid Post, Belal Hibri, on another project. But we barely met that time, because I was shooting in the mountains and he was in Beirut. On this film, I could come in every week to watch some scenes on a calibrated screen and discuss how it was going. We got along so well that Ziad and I asked him to be the final colorist of the film. We graded in Paris for two weeks at M141 on DaVinci Resolve. I like this post-production company because you can easily do tests at the Max Linder Theater in 4K on one of the best screens of Paris. We added a bit of grain and we tested different combinations of digital and film grain and it was great to be able to judge the result on a big screen. Two weeks was a bit short though, because we had a lot of movement which needed a lot of tracking. Plus the grading took place during at night for scheduling reasons which was a bit hard on us. Do you know the budget of the movie? TF : I think we had like 2.5 million Dollars. TF : I am very happy with it. In an ideal world, I would have liked one more week of grading after a two week break. Also I would have loved to shoot anamorphic, but we couldn’t for budget reasons. For the rest, I like working under pressure. That’s one of the reasons why I like to work with Ziad. It’s really challenging. Ziad Doueiri and Tommaso Fiorilli.